When my best friend Kristin studied abroad in Greece the summer before our senior year of college, she came back obsessed with Greek salads. I never really got it, because Greek salads in America are all canned olives, sub par feta, and probably contain lettuce and some kind of funky dressing. Well…Tim and I just got back from Greece, and I totally get it now. 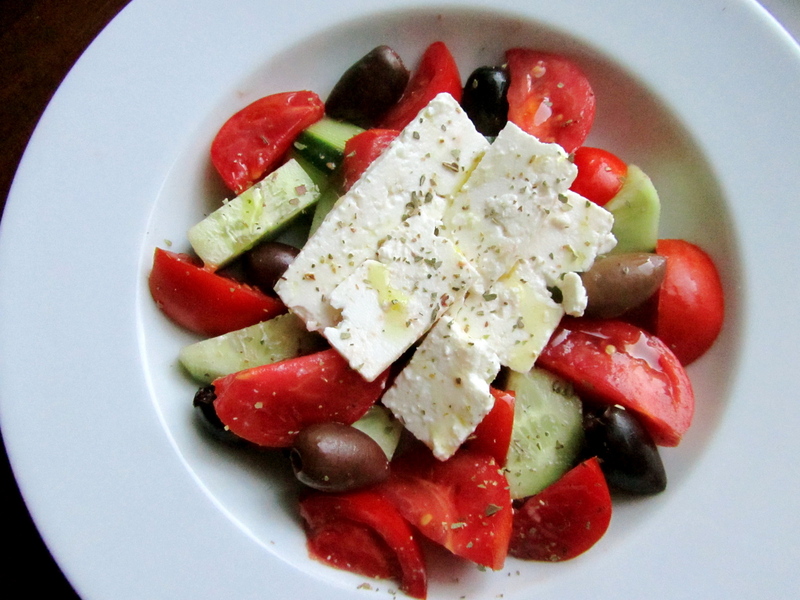 I am obsessed, I can’t get enough, I’ve had Greek salad (and only Greek salad) for dinner three nights in a row. The Greek word for what we call Greek Salad translates into “House Salad,” and as such, we had it prepared in many different ways. 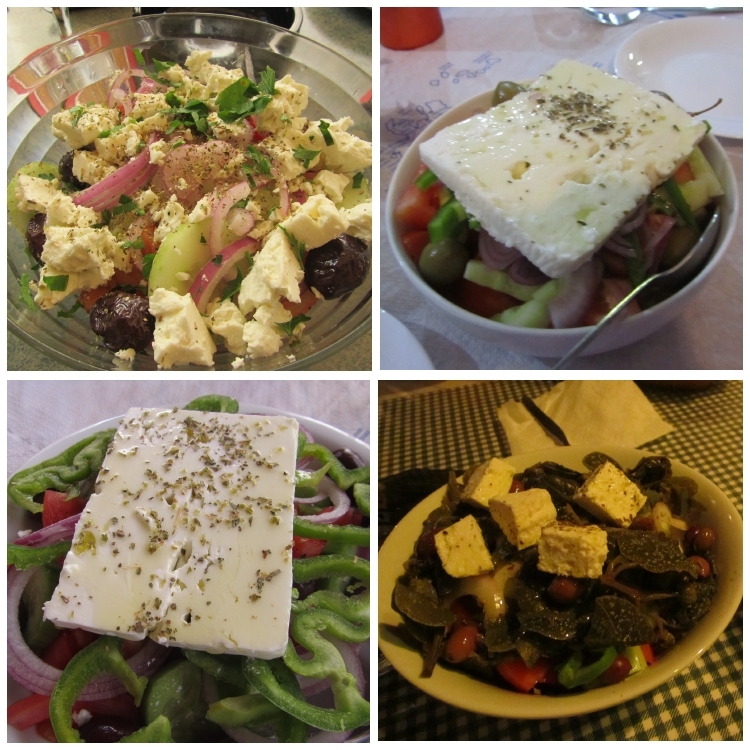 With green peppers and without, Feta crumbled or sliced or cubed, with parsley or without, already dressed or served with oil on the side… The salad in the bottom right photo was topped with capers (still attached to their leaves) that the owner had picked and jarred himself – they were amazing! Not that I am into crazy dieting schemes anymore, but I think a soup diet would be an interesting idea and I’ve always wanted to try it. Obviously some soups can be fat bombs, but if you make them yourself, you can completely control every aspect. 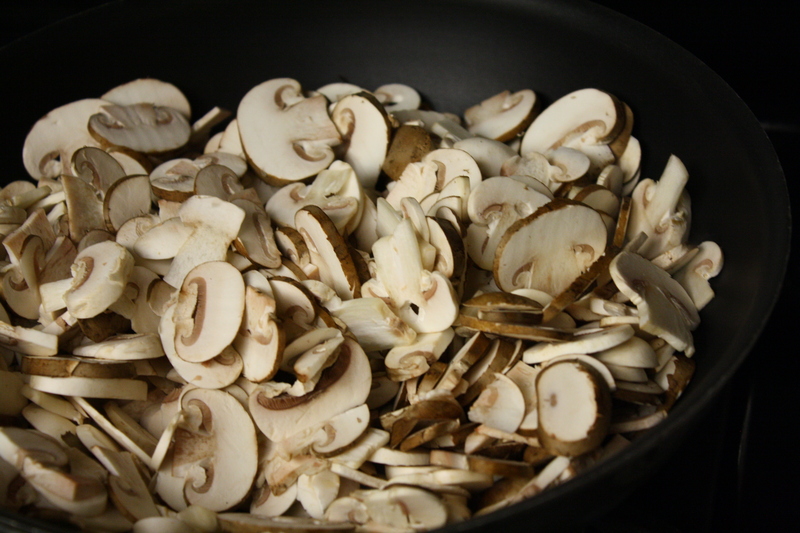 Veggies and broth have so few calories yet are so filling…hmm, 2011 resolutions anyone? By this point, you probably think I subsist solely on soup. I really don’t, but soup is definitely one of my favorite things to order at restaurants and make at home. 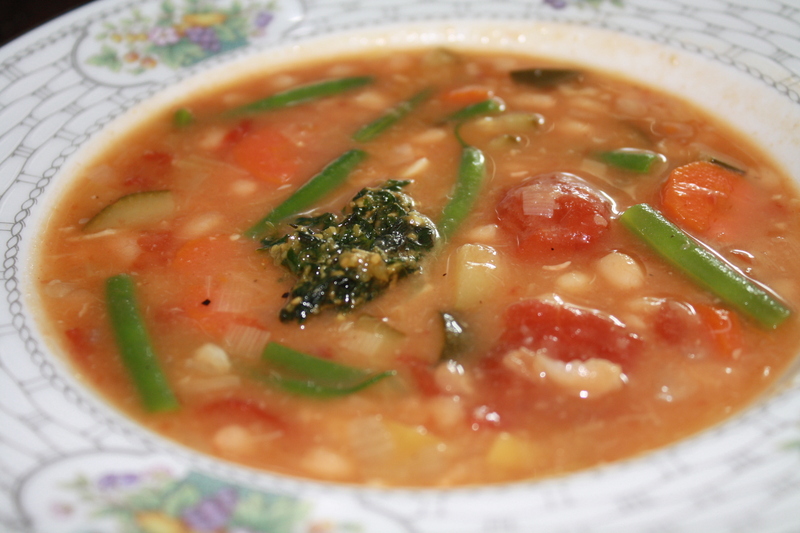 Soup is also a great meal starter because it is warming, filling, low-calorie, and usually a great way to sneak in a serving of vegetables and the nutrients they provide. 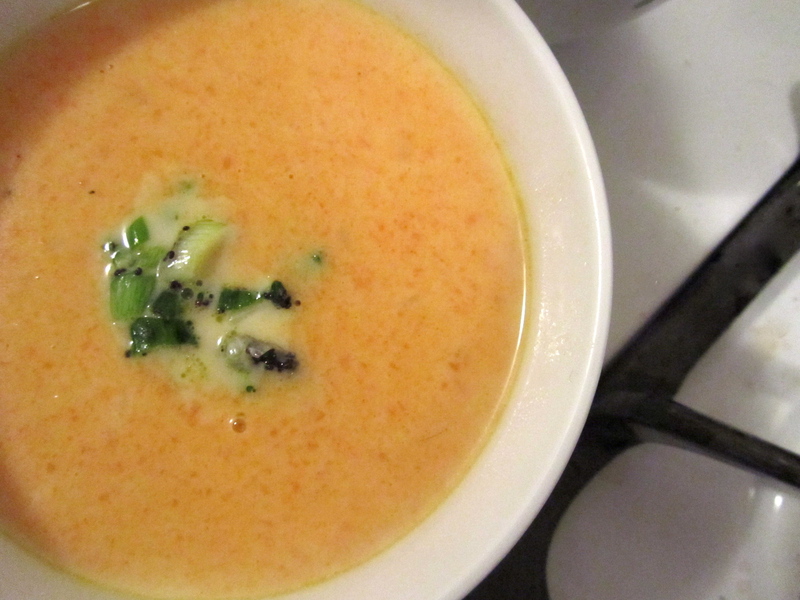 In my experience, I have found some carrot soups (even from the best restaurants) to be on the bland side. 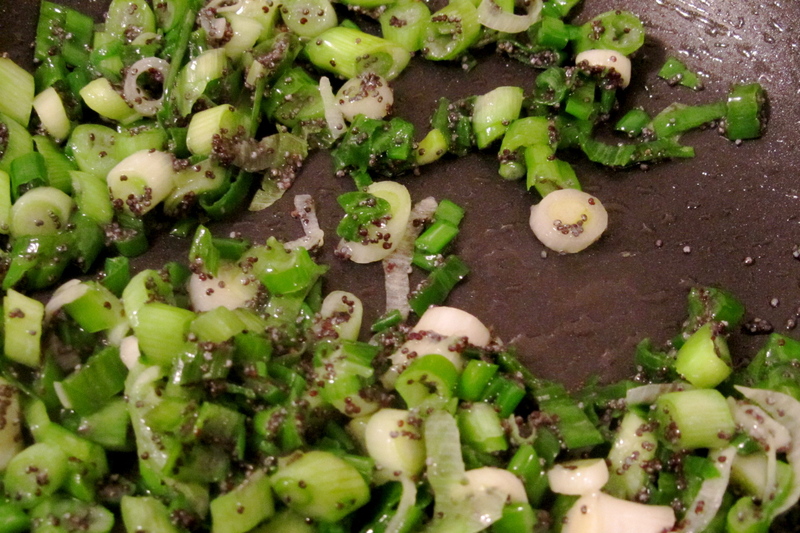 For this recipe, I used homemade stock, which automatically adds richness; the scallions and poppy seeds add even more flavor. Truthfully, I just can’t stay away. I really love school. I am taking two night classes (Children’s Literature, and Child Health, Safety, and Nutrition), which means I spend six evening hours a week in a classroom. Which means that I am still working on the balance between website and school and work and having a social life and playing with Dolan. Which means that I have to plan my schedule carefully to make sure I have time for cooking and posting…but so far, so good! I promise I won’t leave you hanging! I also promise that you are going to be learning a lot about children’s books. Stay tuned – and get excited! 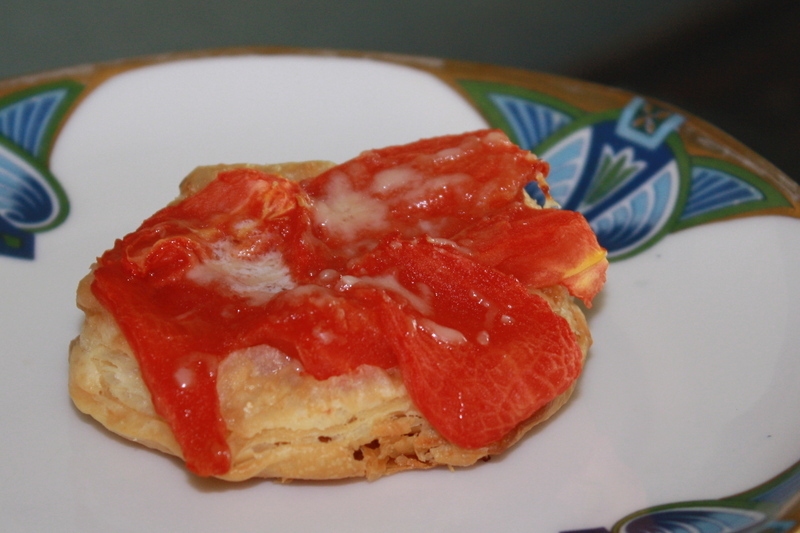 This is a great recipe to showcase your end-of-summer tomatoes. 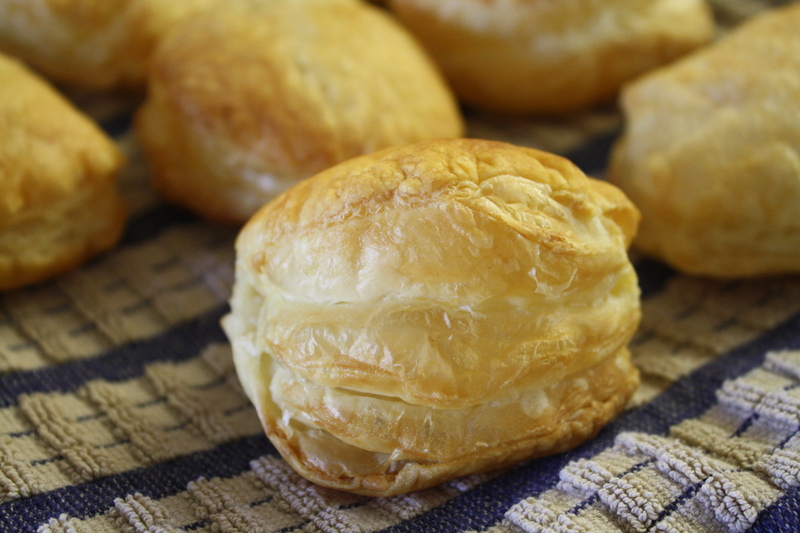 The original recipe said to make six-inch rounds, but I wanted more of a side/appetizer portion…six onches of puff pastry gets pretty heavy. I served it as a side alongside salmon and my family really enjoyed it. I love soup. 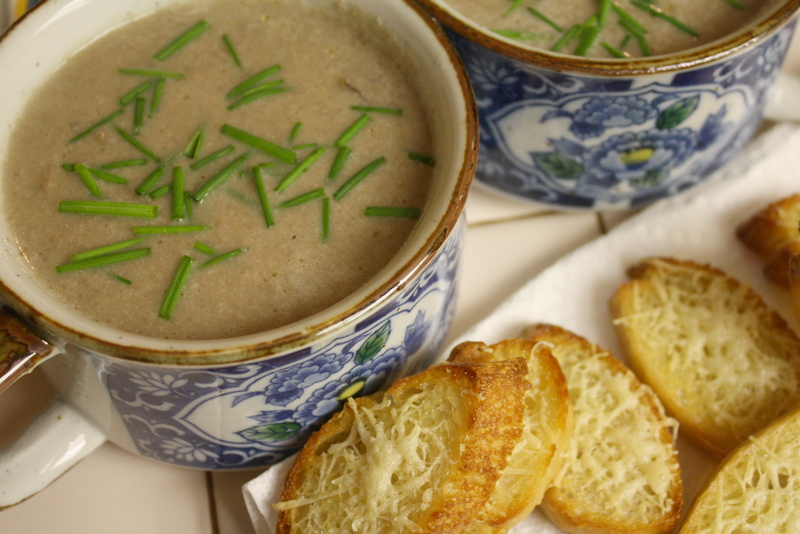 Come wintertime, the majority of recipes I post will probably be soup – I could probably live off of it. Understandably, hot, hearty soups aren’t really a summer thing – why on Earth would you heat up your entire kitchen when it’s 100 degrees out?! Well…maybe because you really felt like some soup. 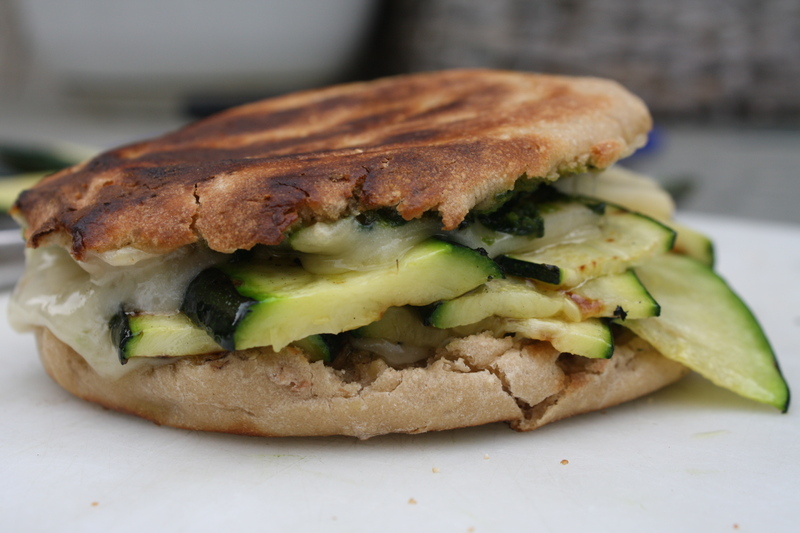 Call me crazy, but as soon as I saw this recipe, I had to make it. And I did, one warm central coast evening…..